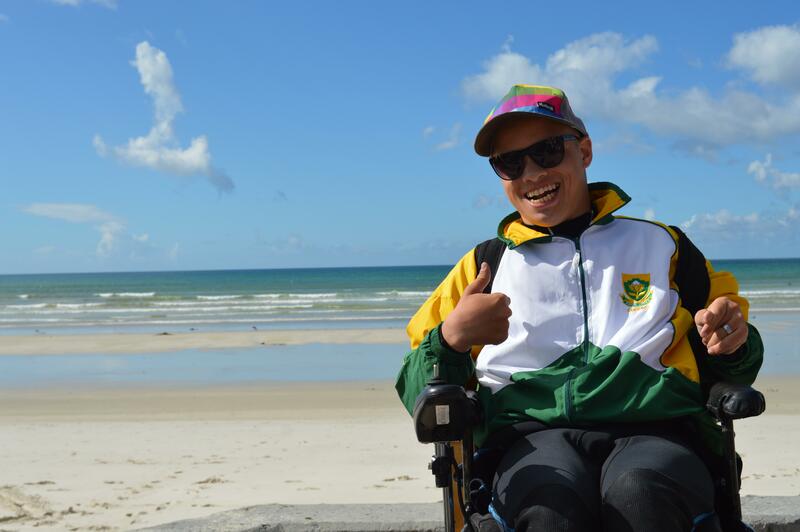 Ashtan Davids, a familiar face to volunteers at the Projects Abroad Surfing Project in South Africa, made history on October 16th 2016 when he and 14 other surfers competed in the country’s first Adaptive Surfing Championships. 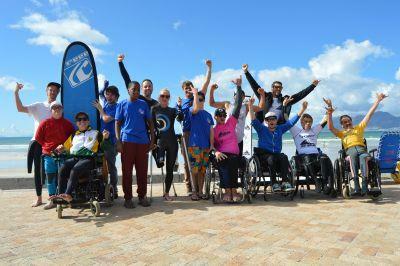 The Cape Town-born surfer has cerebral palsy, but it has not stopped him from enjoying and now competing in the sport. For Ashtan, his love of the ocean and the sport began four years ago when he started surfing with his older brother. “My brother is a surfer. When I was younger, I would get on the surf board with him. I was at the beach with him daily and now I’m making my own dreams a possibility,” says Ashtan. A specialized surfing board with four handles was created for Ashtan, allowing him to hold on to the board, and Chrisjan to assist. “Ashtan’s board is one of a kind. It was thinned out and shaped according to his body shape to help him retain his balance and also to get more out of the board. It also has four fins to give speed and maximum control,” said Chrisjan. 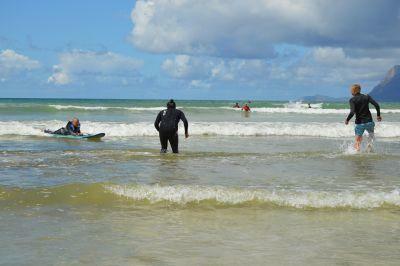 Many volunteers on the Surfing Project in South Africa have worked closely with Ashtan. “The volunteers run the sessions with Ashtan. I train them to become surf coaches and then they work hands-on with Ashtan. They manage the physiotherapy sessions and his sister shows the volunteers how to do most of the exercises,” explained Chrisjan. Volunteers also learn how to assist surfers with Asperger’s syndrome and Down’s syndrome through the Surf Therapy aspect of the project. “The volunteers are supportive, positive, and excited. I enjoy having them because I make new friends,” said Ashtan. The Surfing Project in South Africa also focuses on working with local disadvantaged children, teaching them how to swim and surf. Find out more about our Surfing Project in South Africa, and how else you can get involved in helping people with disabilities in our Physiotherapy and Occupational Therapy projects around the world.